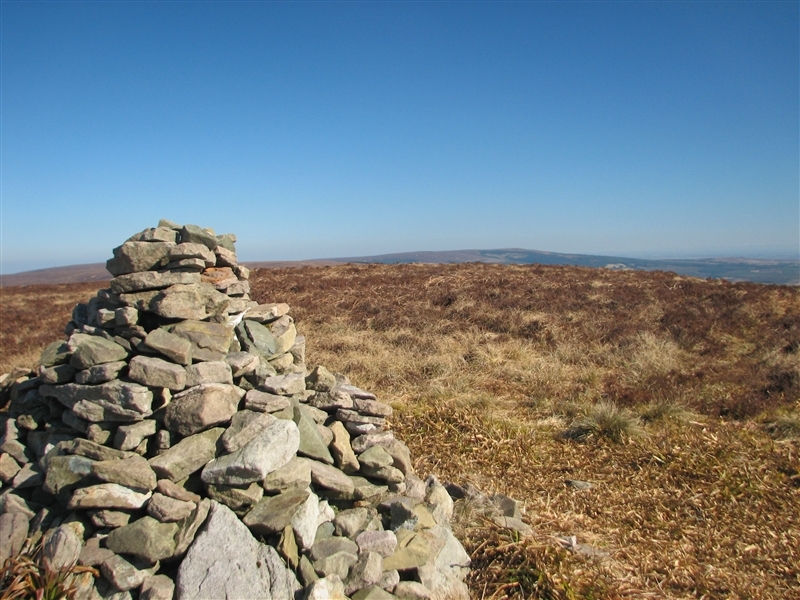 Arderin, at 527 meters, forms the high point of counties Laois and Offaly. The hill can be accessed by the scenic Glendine Gap road, a drive which reminded me of the opening scene from The Shining. Granted without the trailing helicopter…or the dramatic mountains, or Jack Nicholson at the wheel. Ok, it’s a stretch, but as the narrow switch back road climbs higher and higher into the gap it feels increasingly isolated and just a tad eerie, even in blazing sunshine. The drive up the gap is most enjoyable and you may well have the road all to yourself. In fact, if you have an older road map the route may not even feature as I understand the road was only completed in 1994. 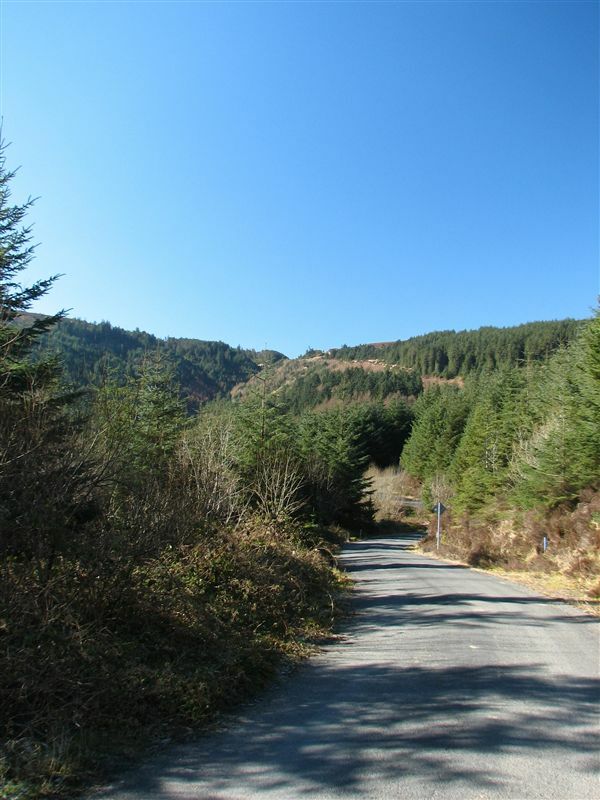 With views back down the valley and east towards the Wicklow mountains the road offers a hint of the vistas to come when you reach the top of the hill. Right at the top of the gap, on the border between Laois and Offaly there’s a car park, currently featuring dumped rubbish and a burnt out car. After parking up head directly out of the car park down a dip which is about 20 feet deep and back up the other side before following a well trod path all the way to the top. There’s a more clearly defined path down this dip just to the Offaly side of the car park but I don’t think its necessary to use it. Once out of the dip it’s a straightforward march to the top. The ground was frozen solid on the day I walked up, though I understand it can be a boggy walk in milder, wetter times. The walk to the top takes only about twenty minutes or so. 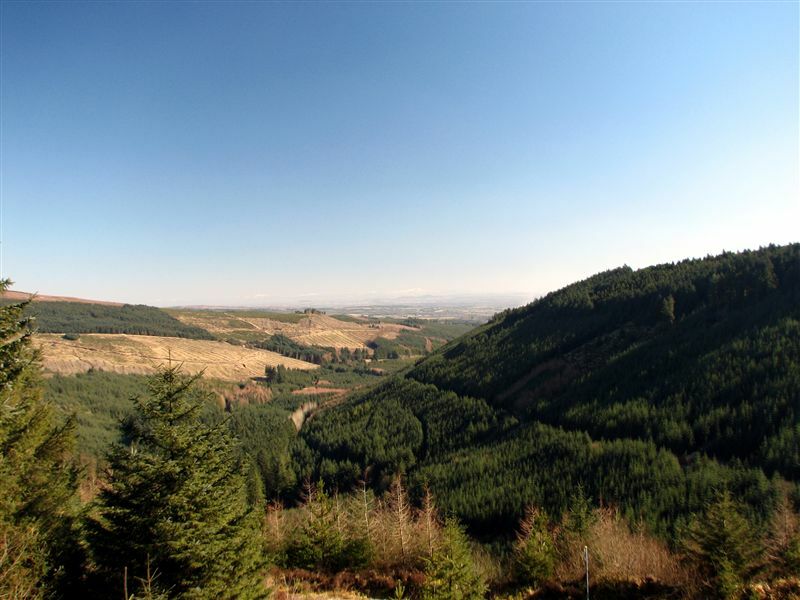 Once you reach the cairn there are 360 degree views of the surrounding country, which certainly bring home the fact that the Slieve Blooms are in the centre of the country. A quick trot back down the hill, with a stop out of the cold wind to enjoy a coffee and the views, saw me was back at the car and coasting down towards Mountrath. Map: I’ll not lie – I didn’t buy a map for this walk, instead checking out the terrain on Google Maps and the (no longer as detailed as before ) OSI map viewer, and general advice on Mountain Views. 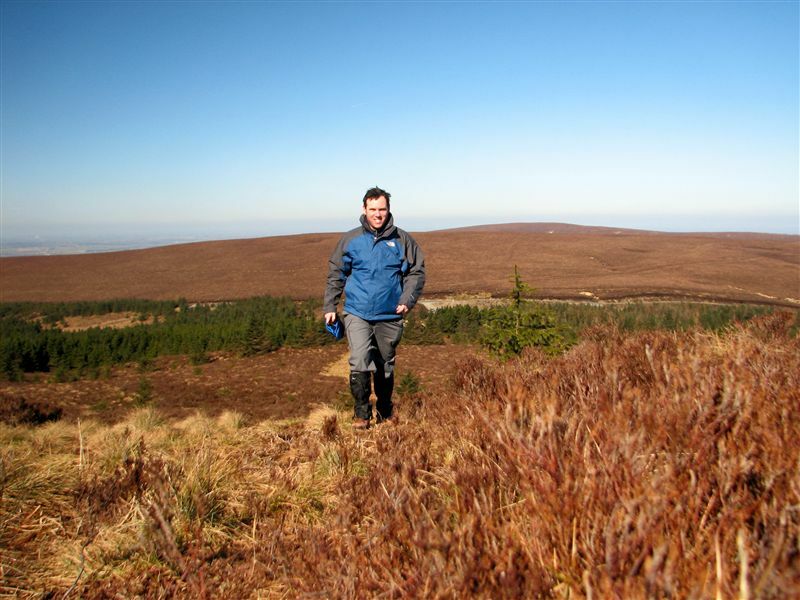 If you were planning more extensive walks – and the Slieve Bloom way does look great – then you’ll need map #54.